Disney announced, yesterday, through it’s Disney Parks Blog what restaurant will be replacing Kouzzina. Kouzzina will be closing up shop at the end of September. 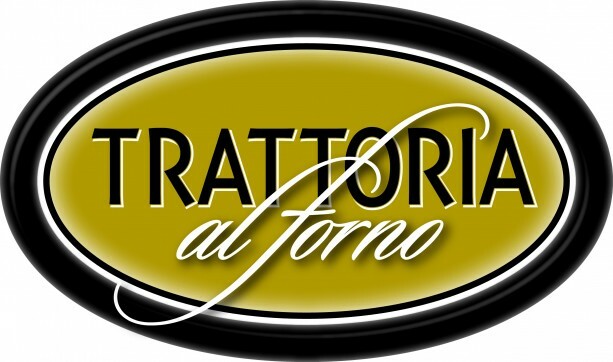 In December, Trattoria al Forno will be opening its doors to guests. What to expect from Trattoria al Forno: the restaurant will highlight Neapolitan pizza making in wood burning ovens, seasonal risottos, Italian cuisine from throughout Italy, Italian desserts, and 100% Italian wines (60 by the bottle and another 25 by the glass). Looking the entire picture of the EPCOT/Hollywood Studios corridor, Trattoria will become the fifth Italian restaurant in this area join Via Napoli and Tutto Italia in EPCOT, Il Mulano in the Swan Hotel, and Mama Melrose in Hollywood Studios. That leads me to today’s question, does this restaurant create an overload of Italian restaurants in this area? Reading the description of the restaurant, Trattoria sounds like a more upscale Via Napoli….a Via Napoli meets Tutto Italia. It has the advantage of being outside the parks so guests do not need to “burn a park admission day” to enjoy the restaurant. However with five Italian restaurants with 15-20 minutes walking distance from each others, Disney is in endanger of flooding the market. From Disney’s perspective an Italian restaurant makes sense. Most people can find something on an Italian restaurant menu that they can eat so it appeals to a wide variety of people. Italian is inexpensive to make from scratch so there can large profit margins to be had on Disney’s side. Most of this profit margin will probably be used to import the wines from Italy on frequent basis. Italian food is easy to prepare and has a quick turnaround meaning Disney can move lots of people through the restaurant. This means lots of reservations and table turnover which means more revenue can be had from the restaurant. There is no word on whether or not Trattoria will be part of the Disney Dining Plan. Kouzzina was on the Disney Dining Plan at the cost of one table service credit per person. If you are concerned about the number of Italian restaurants in the EPCOT/Hollywood Studios area, take a look your neighborhood and count up the different Italian restaurants (both chain and non-chain). There are a lot of Italian restaurants and, for the most part, they all stay in business because people like eating Italian food. For example, within a mile of my house, there is an Olive Garden (chain), a Pasta Pane (local chain), a Delmonico’s (local Italian “steakhouse” chain), and a Bellini’s (stand-alone restaurant). This doesn’t include the pizza shops and stands scattered through the various strip malls. Clearly there is a demand for Italian cuisine and Disney is just tapping into this demand further. Now, for the other side of the debate. Disney with five Italian restaurants in this area plus Tony’s Town Square in Magic Kingdom and Portobello’s in Downtown Disney could be creating “Italian food fatigue” within Walt Disney World. Trattoria will be the seventh Italian restaurant in total in Walt Disney World. Some people when they go on vacation want to get away from their everyday world. Having a lot of Italian food choices could be part of that everyday world that they are trying to escape for just a short time. The other problem that people, including myself, run into eating Italian food at Disney World is Italian food can be very heavy. Very heavy food is not what you want to be eating on a hot and humid day in the summer. It slows you down and can make you feel sluggish and just want to relax back at the resort and/or in the room. This is not good if you want to be spending time in the parks going on attractions. My family ate at Mama Melrose once in the summer. Never again. The food was too heavy and we became too tired so just went back to the resort and hung out for the evening. Personally, I feel that Disney could have a lot of different directions in this location but chose the safe option in another Italian eatery. An Italian eatery just doesn’t fit the Boardwalk theme to me. I would have gone in the direction of opening a seafood restaurant focusing on the cuisine of the Mid-Atlantic/Chesapeake Bay. It’s not a southern style seafood and it’s not New England seafood either. It has a distinctive flair and flavor while fitting in the overall Boardwalk theme and it keeps the space as a table service restaurant. Another potential idea (as I continue to wear my Imagineering hat) is to go completely away from the table service idea for that location. Kouzzina, from my understanding, typically had tables/reservations available. It was not the type of place that was always full. So, go away from the table service. What reservations the restaurant did have could be easily absorbed by the other restaurants in the area and throughout Walt Disney World. 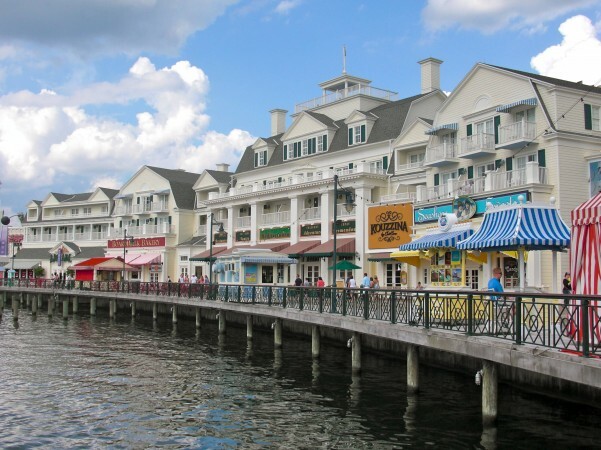 When my family stayed at Boardwalk, we noticed that there was a lack of counter service options along the Boardwalk. There were plenty of places to grab a snack like at the Boardwalk Bakery. Yes, the Boardwalk Bakery does sell sandwiches as part of it’s lunch/dinner menu. There are hot dog stands, pizza windows, etc. What I’m thinking includes the Boardwalk Bakery but expanding on it to create the Boardwalk Bakery and Deli. The former Kouzzina seating area could be used for the seating at this newly expanded Boardwalk Bakery and Deli. The restaurant could serve pre-made or made-to-order sandwiches along with Boardwalk style french fries (different from the typical Disney french fries). I would also add put Philadelphia style cheese steaks and chicken cheese steaks on the menu (which can be heavy as well) but would further enhance the Atlantic City Boardwalk theme of the resort. The bakery would obviously supply the bread for the sandwiches made at this newly expanded counter service location. I don’t think that adding another Italian restaurant is a bad idea. However, I don’t think it’s the best idea given its proximity to other Italian-style restaurants in the EPCOT/Hollywood Studios corridor. What do you think is a better idea for this location? What would you like to see go into the space formerly occupied by Kouzzina? Leave us a comment at the end of the article. You can also leave a comment on our Facebook page or on Twitter. The Dad For Disney Facebook group continues to grow and grow. 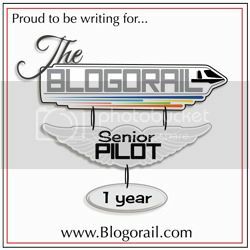 Please tell your friends and family about this group and the articles that come out on a daily basis. It absolutely is too much Italian in that area, especially if you count in Tutto Gusto in Epcot. The Epcot resort area is in desperate need of a food court-type location. There are three deluxe hotels and not one place like that. I also thought a Jersey-style diner would have been a great choice for this spot. Bring 50s Prime Time like food out of Hollywood Studios, plus add in some other dishes. They totally blew this one, in my opinion. I would like see something which better fits the Boardwalk theme. Yes, def too much Italian. Need a good ol’ pub/bistro place with many different choices. Still missing Spoodles. Never had the chance to eat at Spoodles. Closed right before I started to make visits to WDW with my family. I’d like to see a restaurant similar to The Cheesecake Factory where there is a large variety of salads, sandwiches, burgers and heavier meals if you are in the mood. I’m with Susan…I miss Spoodles too!! But, maybe the menu was too ethnic and that scares some people.